Taking dedicated acoustic guitar lessons is where a student develops a focus on all the attributes of the acoustic guitar. You can be learning to play both with a pick and fingerstyle; playing both patterns and free form; expanding your chord vocabulary to include sus4, sus2, add9, and many other voicings to adorn your chord usage; playing to accompany vocals and as a solo instrument in its own right. 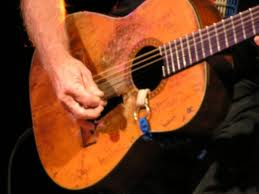 We will be examining playing in standard tuning and in countless numbers of open tunings that make the acoustic guitar sound so magical, in addition to phrasing chords in traditional tuning so that certain strings ring as drone strings and give you the effect of an open tuning without the hassle of re-tuning the guitar. We will learn studio capoing tricks that add amazing texture to recorded tracks and flip the listener on their ear by using the complete array of inversions in order to stack chord partials across the entire fretboard, as well as learning how to use Nashville or "high-strung" tuning to optimum advantage, both for unique acoustic guitar passages and to replicate a perfectly intonated 12-string guitar. Whether you are a contemporary Pop music player with a focus on acoustic guitar, or a more traditional Folk music artist, Country music picker, or the all-encompassing singer/songwriter, mastering the power of the acoustic guitar will help you with the presentation of some of the best music in the world. Our acoustic guitar lessons will help you develop a technique that spans both steel string and nylon string guitar playing. Even if you dabble in Celtic music or boldly jump out with a strong bluegrass technique, it is important to notice that all the variations of acoustic guitar music begin from a common ground. One of the greatest uses of the acoustic guitar is to balance bass lines, internal harmonies, and melody lines in a technique that can best be described as orchestral. 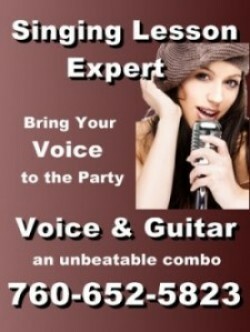 We can help you use the guitar like a piano, whether to accompany singers, other instrumentalists, or even to play solo. One of the most ambitious aspects of acoustic guitar lessons with the Guitar Lesson Expert is that we help you focus on moving way beyond just duplicating songs that you hear on radio or recording, and dig deep into creating unique and creative styles that will set you apart as an original guitarist. You have six strings to work with and the energy you put in is what you get out. You have two hands and one heart and you need to make sure they’re working together. It is fascinating to notice how pieces of different techniques and styles weave through each other as more and more artistic guitarists push boundaries in order to expand the way their playing is received. If you want to play the music you love the most, and even work to develop your own unique performance style, then acoustic guitar lessons should make the way to the top of your wish list. The Guitar Lesson Expert can be with you, every step of the way.